Two men have been arrested in connection with the shooting of an Atlantic City, NJ police officer Saturday morning. A third suspect was shot and killed on scene at the time of the police shooting. 19-year-old Martell Chisholm and 28-year-old Demetrius Cross were taken into custody in connection to the shooting. They face charges of attempted murder, among others. Police identified 25-year-old Jerome Damon as the suspect shot and killed. 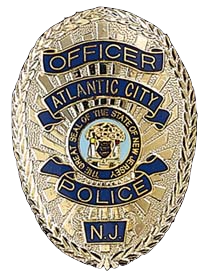 The Atlantic City police officer's condition hasn't been updated since yesterday evening, when it was listed as critical.